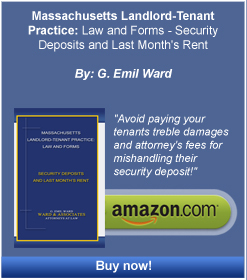 Partition Actions - Boston Real Estate Attorney. Eviction Law. Zoning and Variances. Housing Discrimination. When co-owners of real estate want to cease being co-owners, or when they cannot agree on how best to exploit their real estate, what is known as a partition action is appropriate. A partition action is brought by one or more co-owners against other co-owners, such as by one family member against another, where the property would suffer because of the intransigence of the co-owners, were the court not asked to intervene. In this case, we offer simple and clear advice on PARTITION ACTIONS. In the process, ownership, and accounting and future disposition of the property are determined by the court. Accounting for property improvements made by a co-owner, the respective shares of debt and the equity related to the property to be distributed to each co-owner upon sale of the property are resolved as well. The court is empowered to sell the property to a third party and divide the proceeds among the co-owners. Or, it may order sale of one co-owner’s share of property to another owner who does not wish to sell his or her interest. There are also times when a partnership dissolution is the most appropriate method of terminating the co-ownership when it is found that a real estate partnership exists. Please contact us if you are stuck or if someone you know is stuck in a piece of real estate and your co-owners will neither buy out your interest on reasonable terms nor agree to profitable management of the property.